Trading can be a very rewarding career if done correctly. So whether you want to generate some side income by trading stocks or if you want to make trading your only source of income, here is the list of the top tutorials to learn stock trading. How the stock market works. The process that a company goes through to become a publicly traded company. The history of the Stock Market and it’s Evolution. Master technical analysis: Candlestick patterns, chart patterns, volume and technical indicators. How to send orders and different order types. Different exchanges: NYSE, NASDAQ & AMEX. Risk management: how to reduce losses and manage overall portfolio risk. Money management: how to manage risk on each position, how many shares to buy, and where to take a loss. How to short sell so you can make money is the market goes down. Trading psychology: become an expert in human emotions and the different biases that hold us back from achieving great success. In this course, you will cover beginner and intermediary level information to get you on the right path to becoming a successful and consistently profitable trader. This is a full course separated in 2, this is the 1st part of the series. This course not only includes the material that is required to be successful in trading but also the way that we interpret the different types of information in real time to make the best trading decisions possible. Learn stock trading in the stock market using candlestick and technical analysis for swing trading, stocks and forex. In this course will learn you how to interpret stock price action, how to read charts correctly and how to trade them profitably using candlestick and technical analysis. This course will teach technical trading skills to help you increase your trading success using a time-tested method known as Japanese candlesticks, combined with technical analysis as well as risk and money management. You will look at different trading charts and specific stocks to understand the advantage that the visual illustrations of candlestick charts has over more popular trading tools such as bar charts. This course offers an overview on both the driving force of the market (supply and demand) as well as the effects of market psychology on stocks price action. About the upcoming, as well as ongoing trend of the market. Time frame selection to trade the swings of a trend. Important price action basics, especially designed to read the market sentiment of a trend. Advanced entry and exit strategy to trade the swings of a trend. Strategy to trade the valid swing point of a trend. Overall, very deep insight of the most reliable and profitable swing trading strategy to make consistent profit from the market. Strategy to trade the complex looking invalid swing trading setup on a trend. This course will first teach you the essential price action basics, especially designed to strengthen your knowledge base — to make you understand the exact sentiment of a trend. Then it will teach you the strategy for the valid swing points, as well as the strategy for invalid swing points of a trend. With this course, you will be able to properly plan and know the max profit and loss in advance, make maximum profit at minimum risk, trade any stock with a specific strategy that suits your trading concept, and use these skills in any stock, index, forex, cryptocurrency. Join us on Facebook Messenger on Telegram to receive updates on new free courses. Strong Foundation of understanding the candlestick formation and its behavior based on the traders psychology in the market. Read traders psychology on the chart based on the candlestick patterns. With this course, you will be able to make successful trade entries with pin bar candlestick pattern, engulfing candlestick pattern, inside bar candlestick pattern, and piercing line candlestick pattern. Know when to make a trade and when to avoid. Fully understand the market’s micro-structure, ECNs and Dark Pools. Evaluate different financial statements and how to use them to your advantage. Track, analyze and identify trading opportunities. Understand the philosophy behind every trade. Trade two strategies that we currently run at the office. Develop and implement your own trading strategies. Apply different valuation methods under different strategies. Analyze and understand company fundamentals and fundamental ratios. Formulate your own trading plan to help you trade with confidence. Interpret the use of technical analysis, charts and indicators under different circumstances. This course includes comprehensive advanced material that is required to start trading confidently and effectively. You learn the complete theory behind trading and even better, how to put theory into action. This is a full course separated in 2 parts, this is the 2nd part of the series. Learn the secrets of professional trading from a former stock broker, and make profits investing today! Avoid the common mistakes that new traders tend to make. Calculate support & resistance to measure risk vs. reward. Learn the psychology behind investor decisions. Identify the 4 stages of a trend. This course content covers the full spectrum of market knowledge from the basic of investing essentials through advanced options and technical analysis. 8. Stock Trading Simplified: The Complete Guide for Beginners! 20+ Topics in this Stock Trading Course. Visual Animations will Help you Understand the most difficult Concepts! This course focuses on the technical aspects of stock trading, moreover you will discover how to train yourself mentally, in the “Psychology of trading”. The first three sections in the course deal with the common queries most beginners have with respect to stock trading or investing. The next four sections deal with understanding & analyzing Financial Statement of companies which should be a key input in your stock trading or investing. The next 8 sections deal with Technical Analysis. 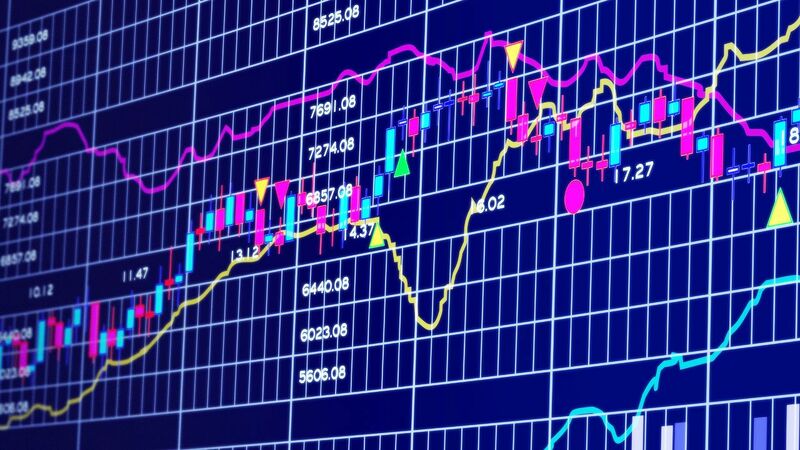 These techniques are not just applicable to stock trading but also to other asset classes. In the Last 3 section of this course you cover options basics including options greeks. These sections are designed to help you better understand options so that you feel confident in understanding advanced option strategies on your own. You will learn about price cycle theory. You’ll learn which indicator serves what purpose and how to build your own working chart setups. In this course you’ll also learn about time frames and which time frame is best to trade and why. Interested in Best and Top Rated Online Programming Courses? Signup to get exclusive updates before anyone else.